For CLE announcements and special rates please click here! Damian Capozzola is our Latest Featured Speaker! Our latest featured speaker is Damian Capozzola from The Law Offices of Damian D. Capozzola! Damian will be speaking for us at our upcoming 13th Annual CA Superior Court Boot Camp in Los Angeles on October 12th! Damian is a repeat speaker for us, having previously been on the faculty panels for 12th Annual CA Superior Court Boot Camp, 11th Annual Superior Court Boot Camp, and 14th Annual Federal Court Boot Camp, to name a few! Damian routinely gets rave reviews from seminar attendees, and we are excited to have him back! Damian D. Capozzola is a sole practitioner in his nineteenth year of litigation practice. Damian has handled significant litigation matters across a broad spectrum of industries and has represented some of the world’s largest defense contractors, food manufacturers and wholesalers, and telecommunications companies. Damian has successfully first-chaired nine jury trials, three bench trials, and two arbitrations, and has contributed to successful trial results and settlements in a number of other matters while practicing at three leading national law firms and then since 2013 as founder of his own firm. He has extensive experience in taking and defending depositions, and he has written and lectured on litigation strategies — including the effective use of technology in the courtroom — and working with experts. Since 2006 he has been the co-author of the Thomson Reuters/West Trial Practice Series treatise Expert Witnesses in Civil Trials: Effective Preparation and Presentation. Damian also has experience with a range of employment, personal injury, and environmental issues, from mass tort litigation to multi-party groundwater contamination mediations to advising clients on discrete issues. Finally, through the years, he has devoted a significant amount of pro bono time prosecuting misdemeanor crimes for two local municipalities. Most recently, Damian secured guilty verdicts on both counts in a two-day bench trial in which the defendant was represented by an attorney with an established track record of filing civil rights lawsuits alleging officer misconduct. 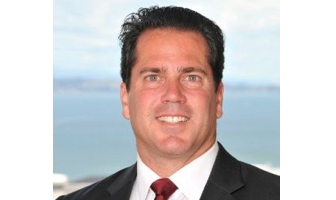 In 2011 Damian was appointed by Governor Schwarzenegger (and was subsequently reappointed by Governor Brown) to the California Law Revision Commission, which he chaired in 2014. He is also a Past-President of the Los Angeles Italian-American Lawyers. This entry was posted in Featured Speakers and tagged Featured Speaker. Min Wu is our Latest Featured Speaker! Diana Iketani Iorlano is our Latest Featured Speaker! Book A Judge To Speak! Our old site is no longer accessible, but you can still access your old account here if needed. Copyright 2019 © Pincus Professional Education.